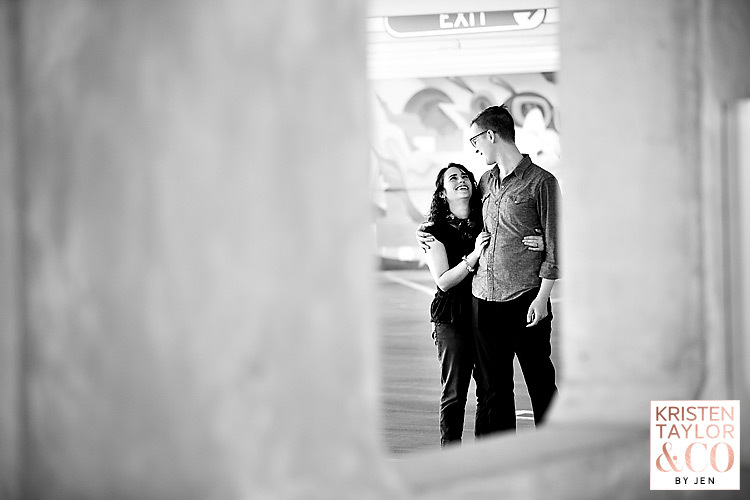 I met up with Boris and Victoria one afternoon a few days before their wedding to photograph their engagement session. 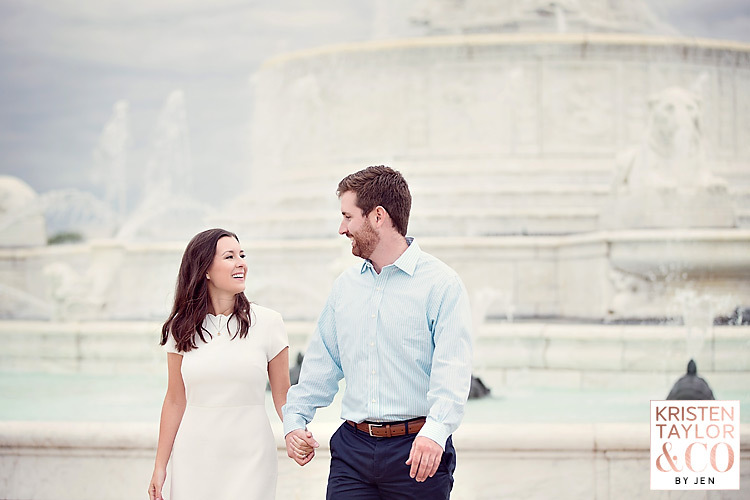 They had traveled to Michigan earlier in the week and had been in non-stop meetings with all of their wedding vendors, making sure that everything was in place for their weekend wedding. 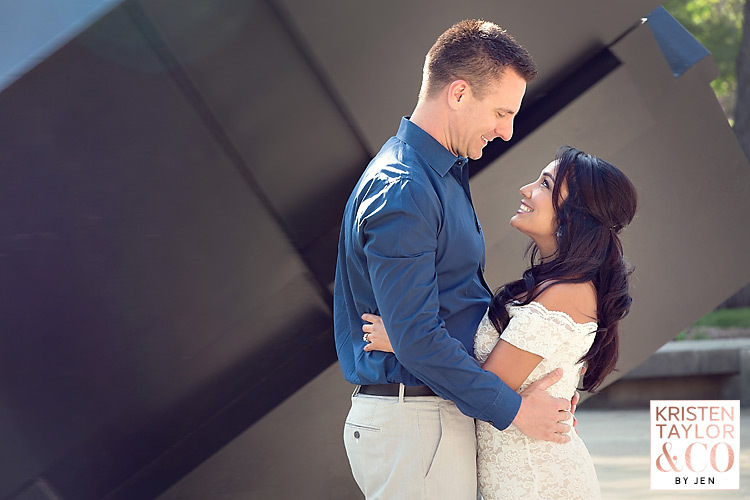 Thankfully, they were able to fit in an engagement session downtown on the Riverwalk so we had the chance to get to know each other a bit before their big day. 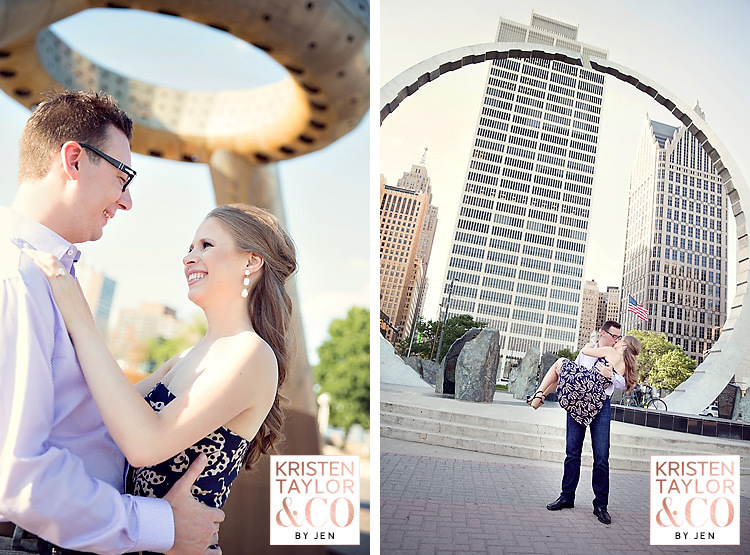 They loved the iconic Renaissance Center and Hart Plaza, which we made sure to capture, as well as some of the local graffiti and beautiful architecture found in the area. 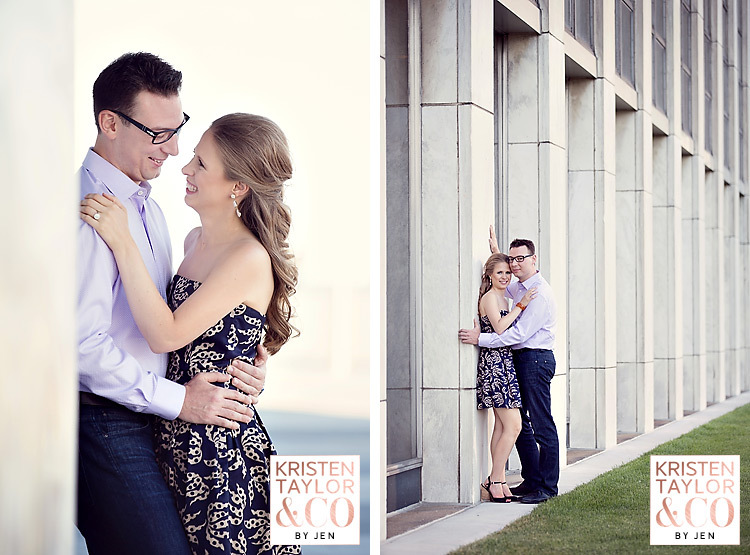 It was a fun session and I’m looking forward to their wedding in a few days! 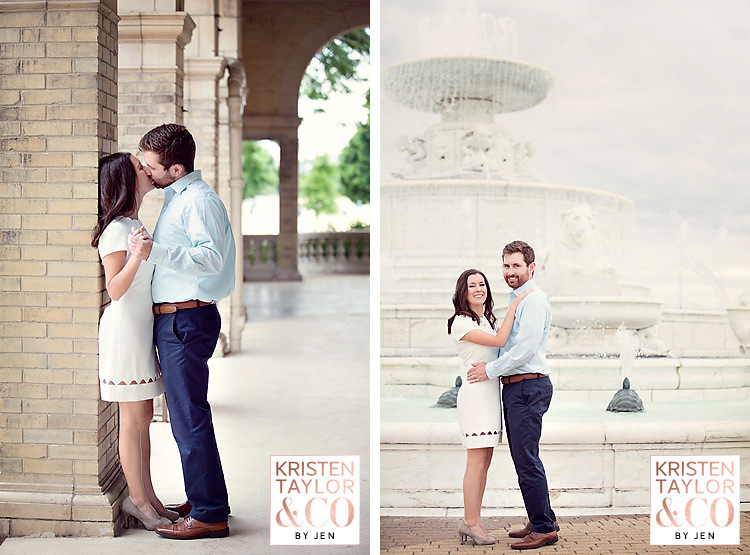 It was a perfect summer evening for an engagement session at Belle Isle with Kylie and Michael. 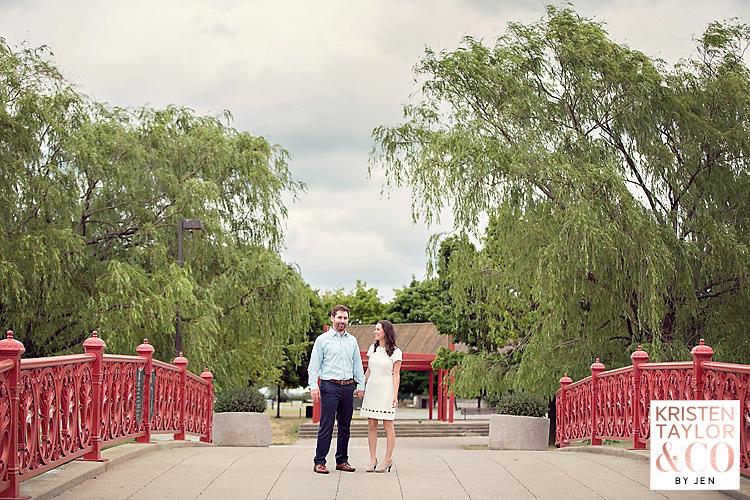 During our session, we made our way from the casino and bridge to the fountain and conservatory, and we chatted about work and how they had met. I learned that Kylie apparently does the best impersonations, which I’m still waiting to hear! 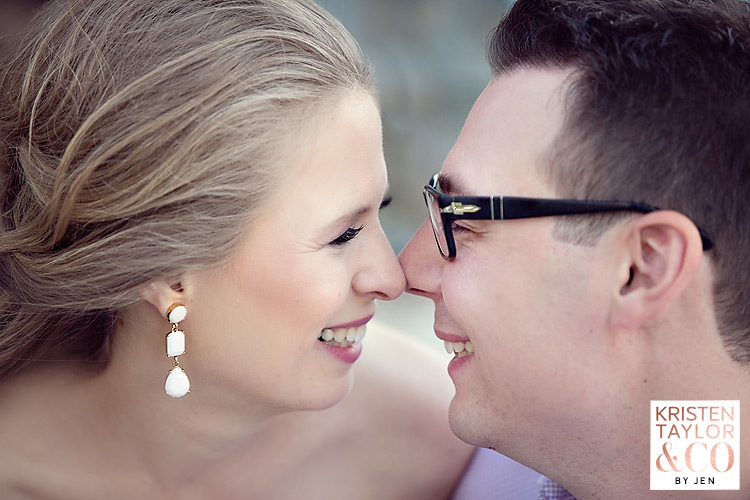 These two are so obviously in love. 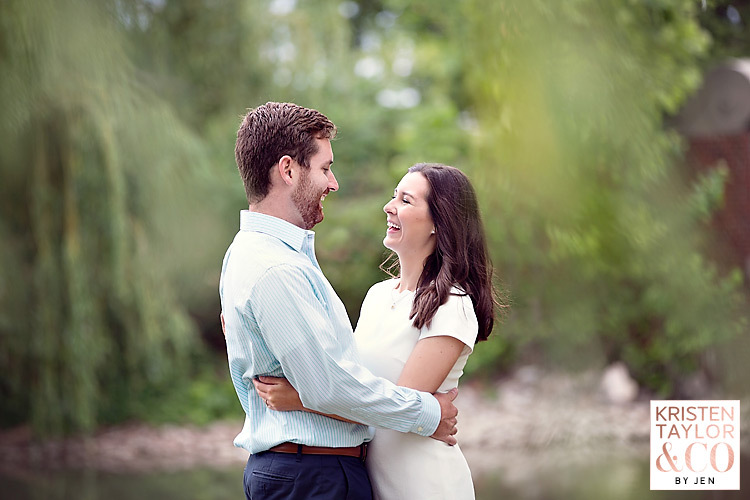 It was wonderful spending time getting to know them and I’m looking forward to their wedding at Planterra next year! 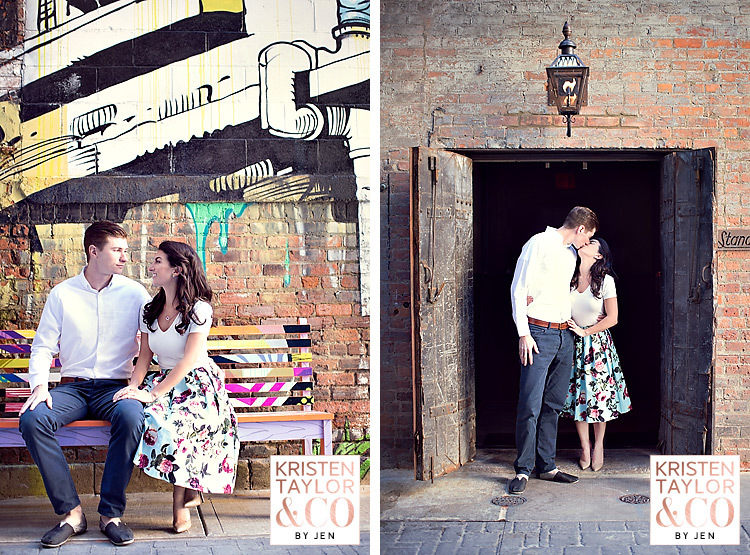 We photographed Becca & Kurt's engagement session at Belt Alley and the Z Lot, which has the coolest murals for portraits! 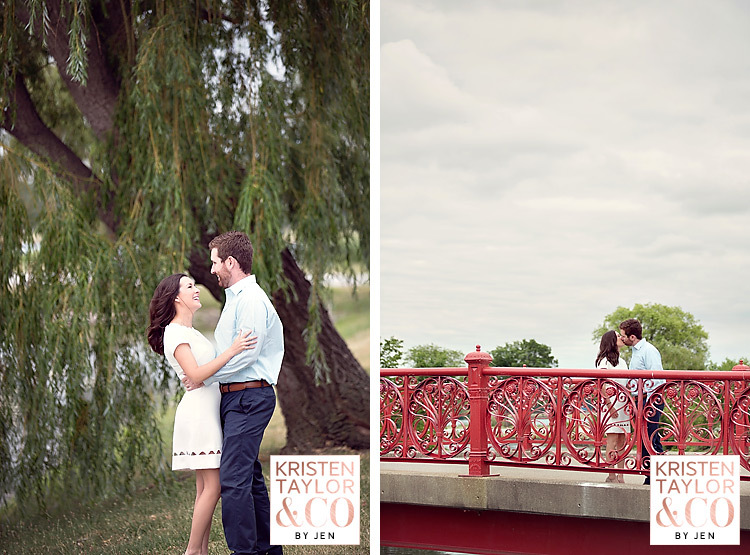 It was a blast getting to know them better and it was obvious that they compliment each other so well. 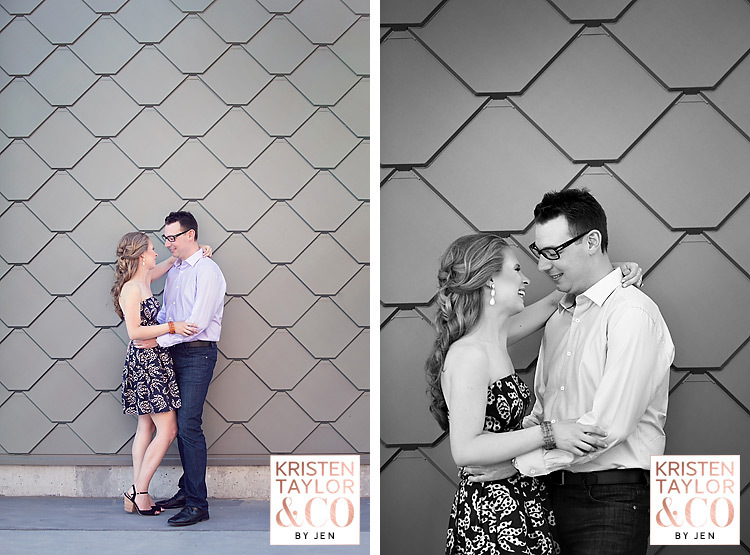 While Becca really loved the softer, more flowing artwork, Kurt was loving the straight-edged, geometric art. 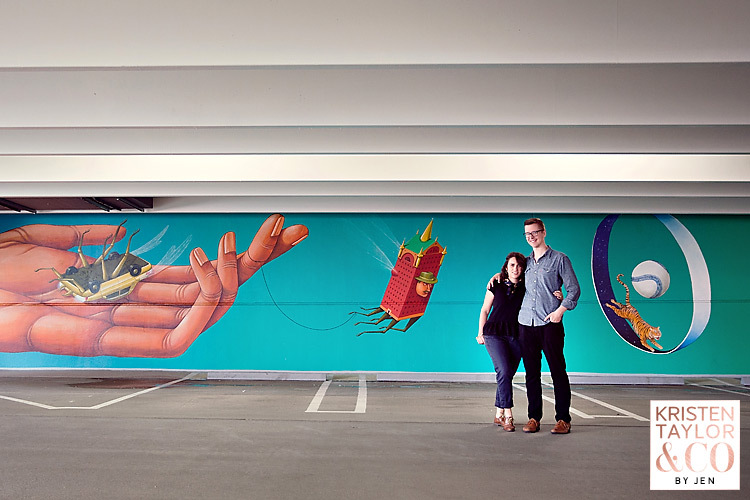 We actually walked from floor to floor in the Z Lot so that all three of us could check out all of the art as we made our way to the roof for some fun skyline photos. We had such a great time, and I kid you not, the instant we left the Z Lot to head back to our cars, it started raining like crazy. What perfect timing! 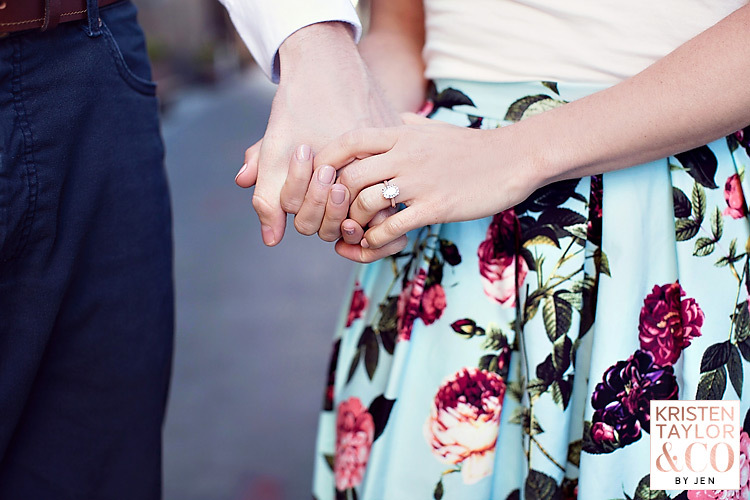 Have you ever met anyone that you instantly felt like was a long lost friend? 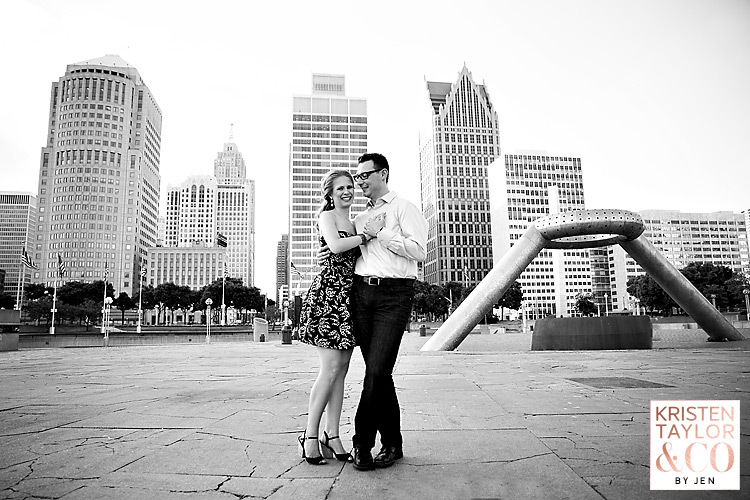 That’s how it was when I met Patti and Jared for the first time. 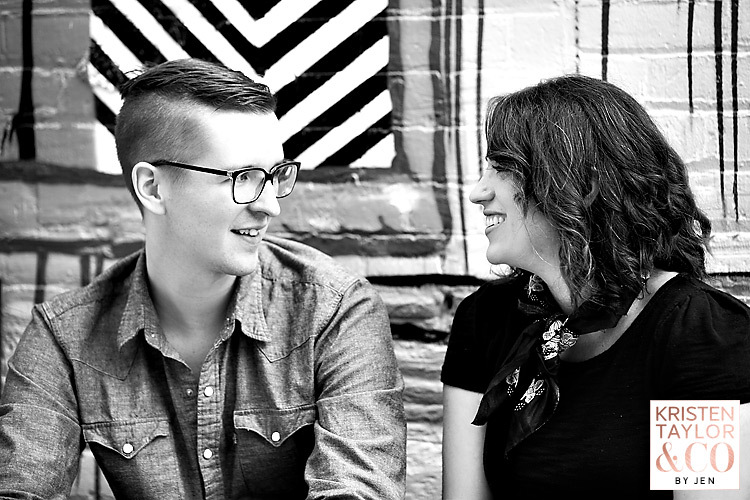 Patti has this amazing smile and a crazy sweet personality, and Jared was as charming as could be and clearly adored Patti. 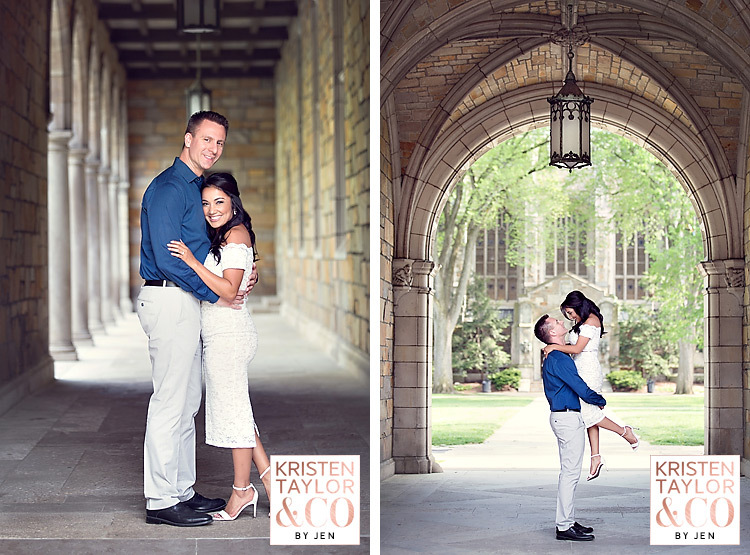 I knew in an instant that we were going to have a great time in Ann Arbor for their engagement session. 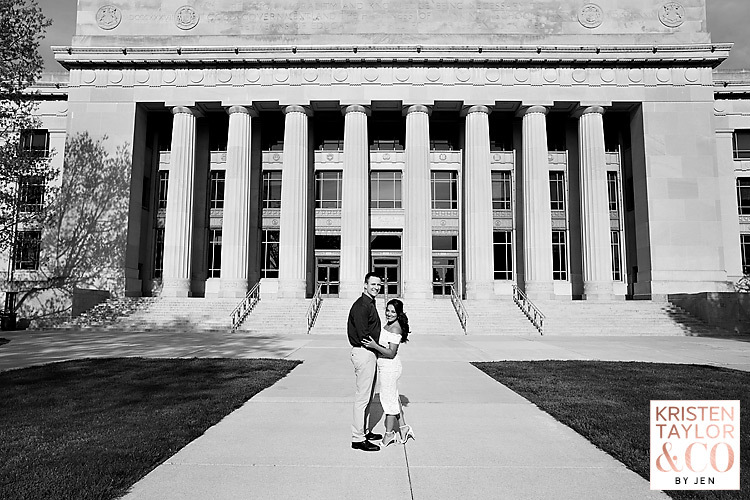 We started off taking a few quick photos at The Cube and then we headed over to the Law Quad for some more intimate portraits of the two of them. Afterwards, we made our way over to the Michigan Theater, where were were able to take a few photos against the marquee, though it was pretty busy since it was a Friday afternoon as well as graduation day. 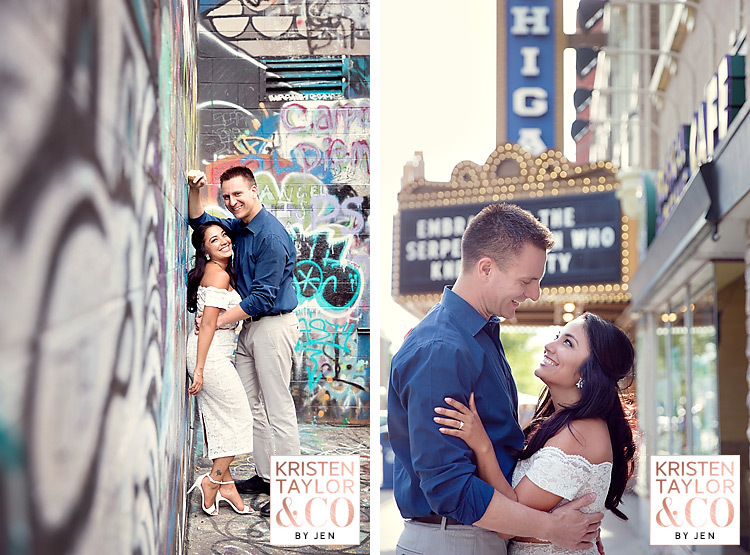 Although we chatted and had fun throughout the entire session, I think it’s safe to say that we laughed the most in Graffiti Alley, which was our last stop of the day. 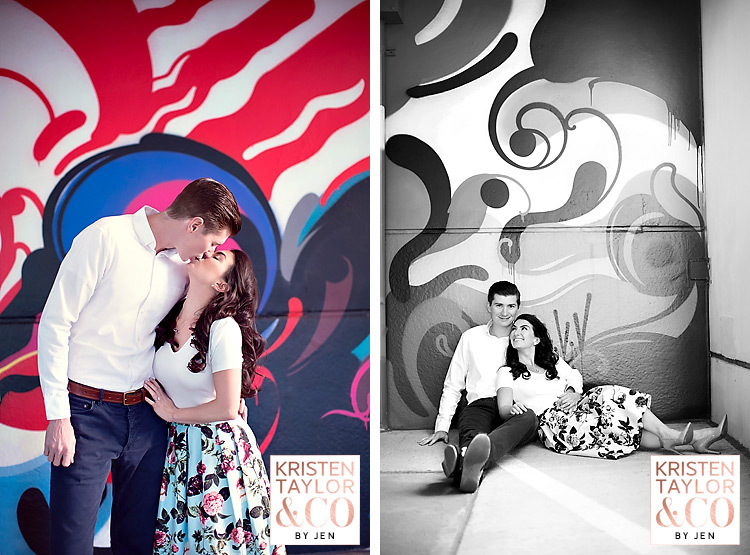 Between Jared posing under various sayings written on the walls and the two of them just enjoying the moment, it was the perfect end to our session. Finally! 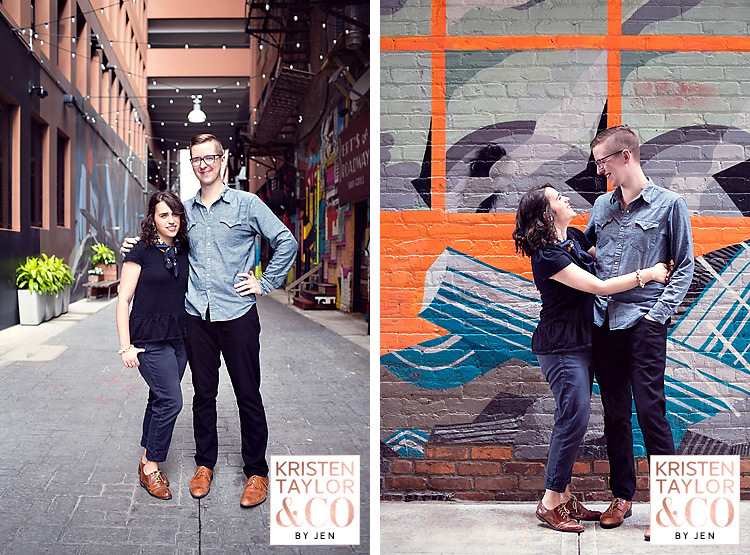 After the cold, snowy Michigan weather that we had started spring off with, Lauren and Matt picked the perfect (and first) warm, sunny Friday afternoon for their engagement session in downtown Detroit at Belt Alley. 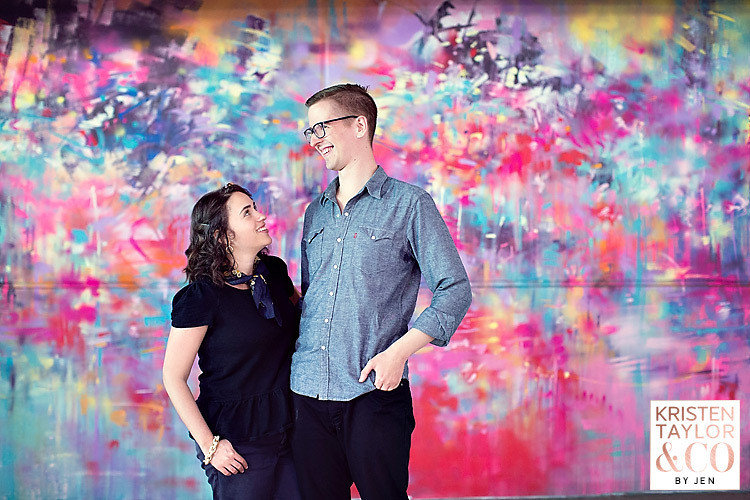 They loved the uniqueness of the spot, and their style fit perfectly with the artwork surrounding the area. 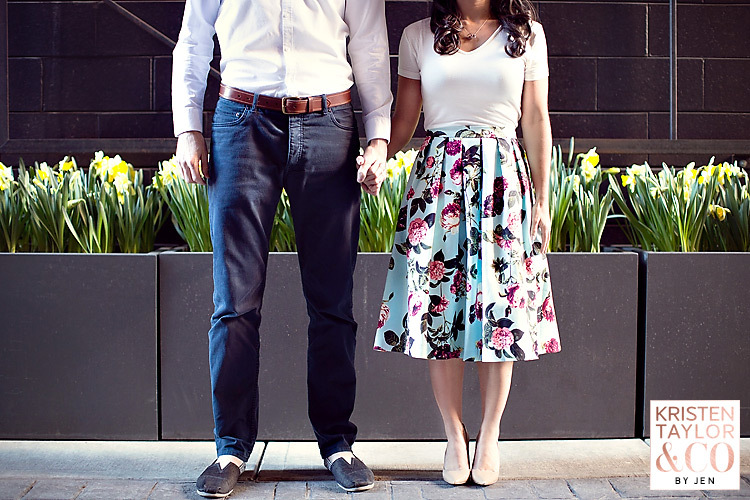 I had serious skirt envy for Lauren’s vintage floral print skirt. 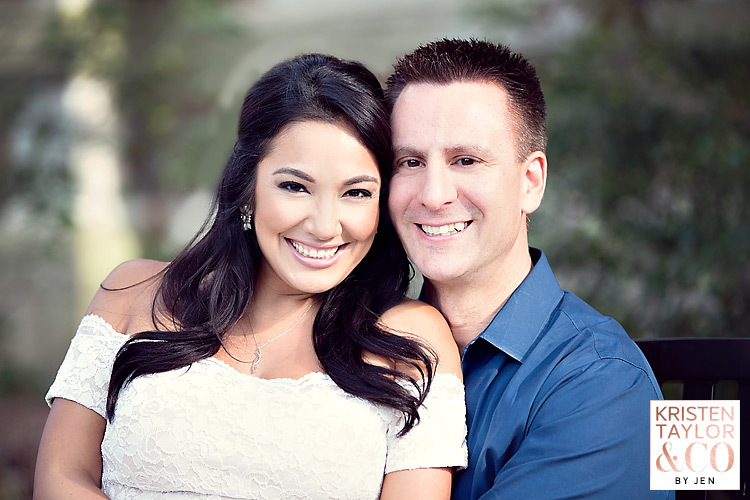 These two had some crazy chemistry and you could immediately tell that they were perfect together and completely in love. 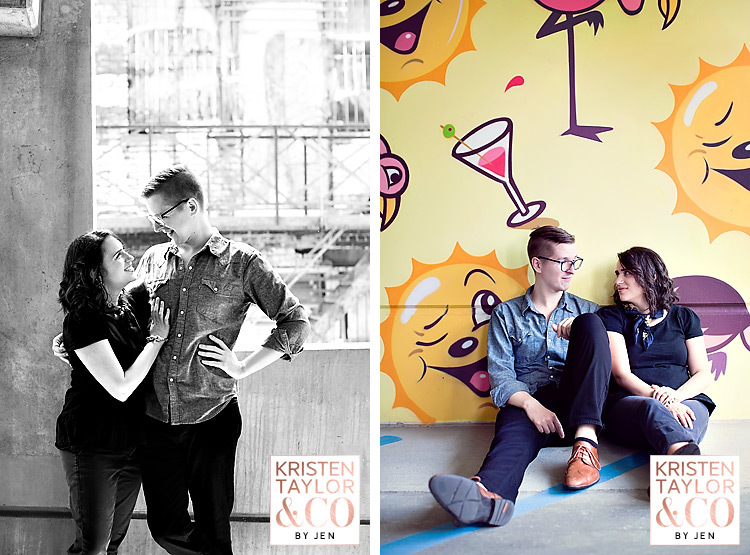 They reinforced this thought when they told me that they “loved kissing each other.” Love that! 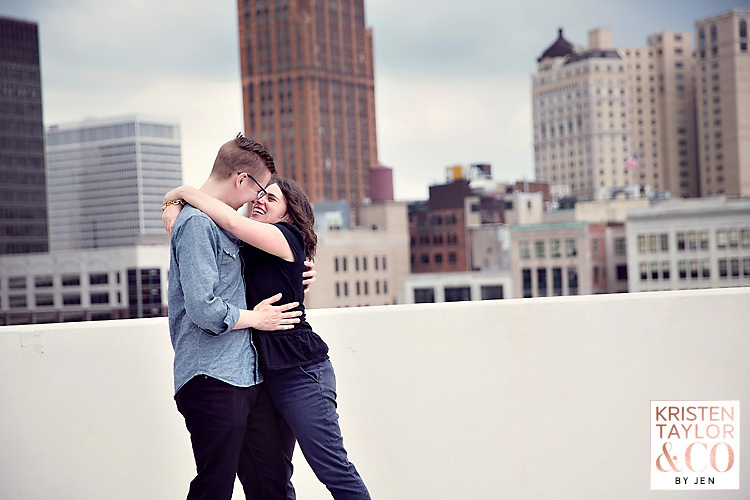 We visited the Z Lot for some quick portraits in and on top of the parking structure, capturing some photos with the Detroit skyline in the background. 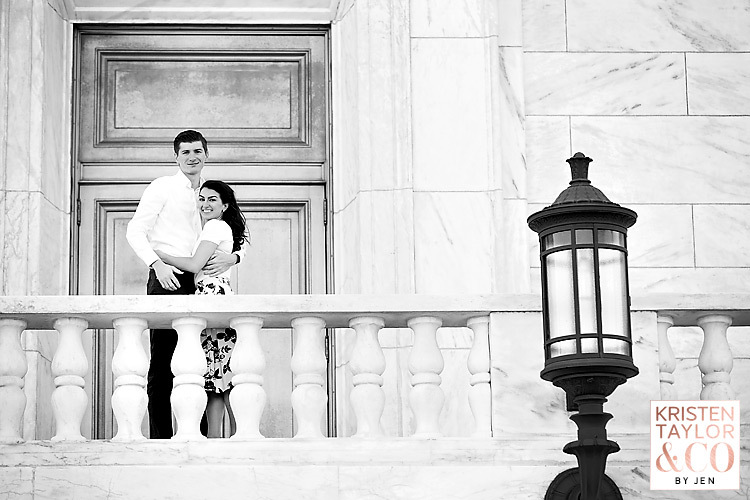 From there, we took a drive to the DIA for a few more photos of the two of them. 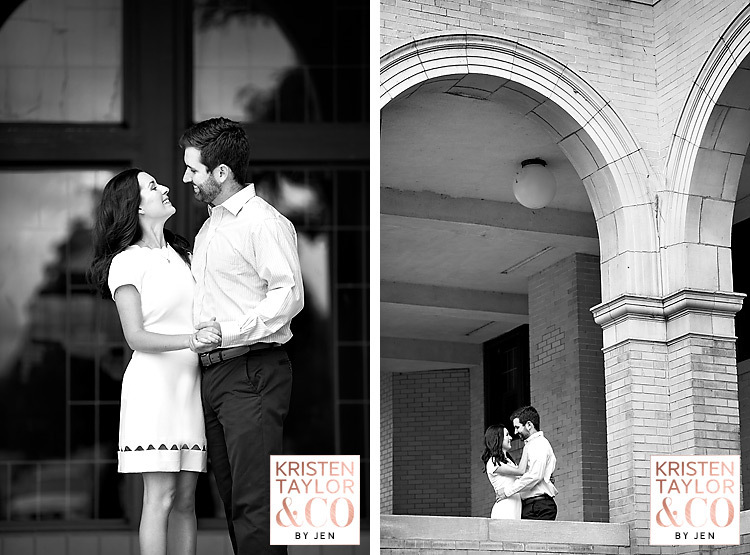 Before I knew it, it was time to finish up our session, although I could have easily photographed these two for a few more hours. 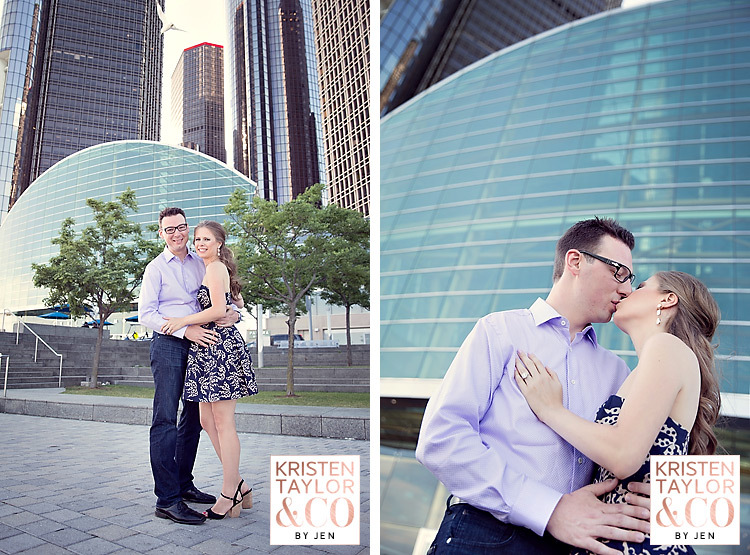 Thanks so much for such a fun session, you two. 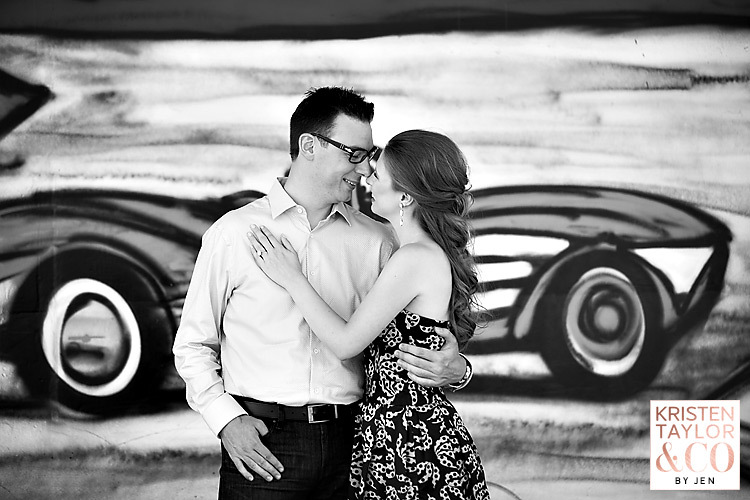 I cannot wait until July to photograph your wedding!